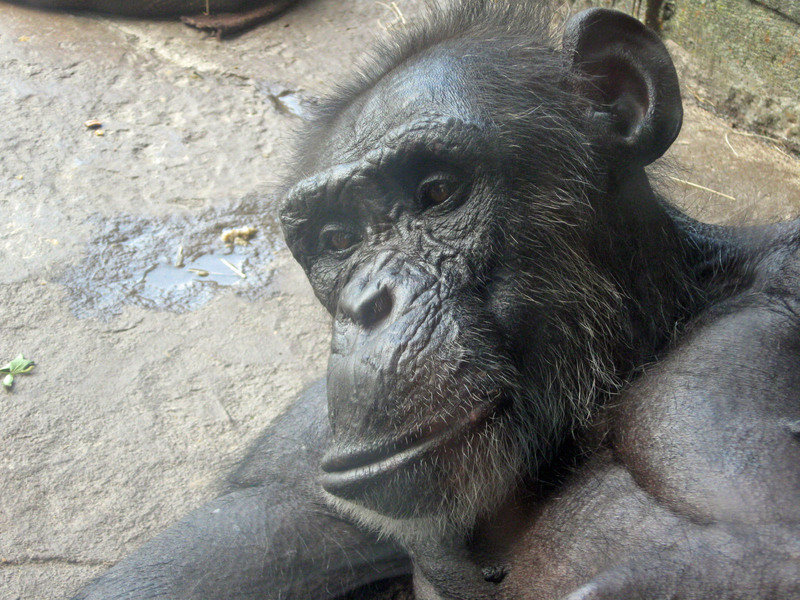 Chimpanzee | Albert Moyer, Jr.
Should I eat the orange now or later? Hahaha! I saw some oranges laying around inside the activity area. That is a great guess! You’re right, how very interesting, like a look of one reflecting on something.